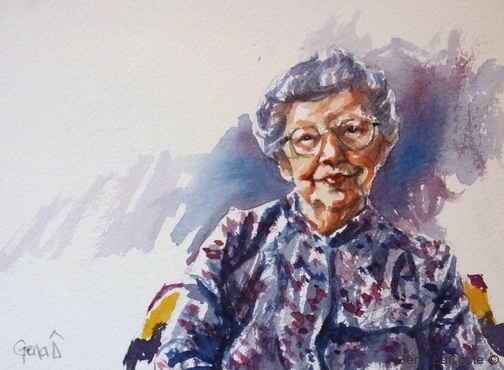 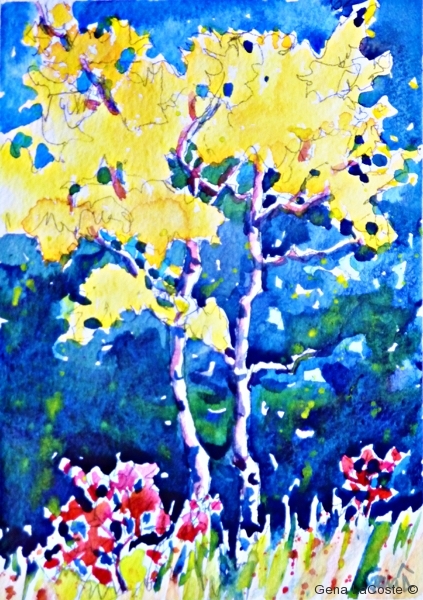 I spent a beautiful morning painting on the hillside above the buildings at Echodale this summer. 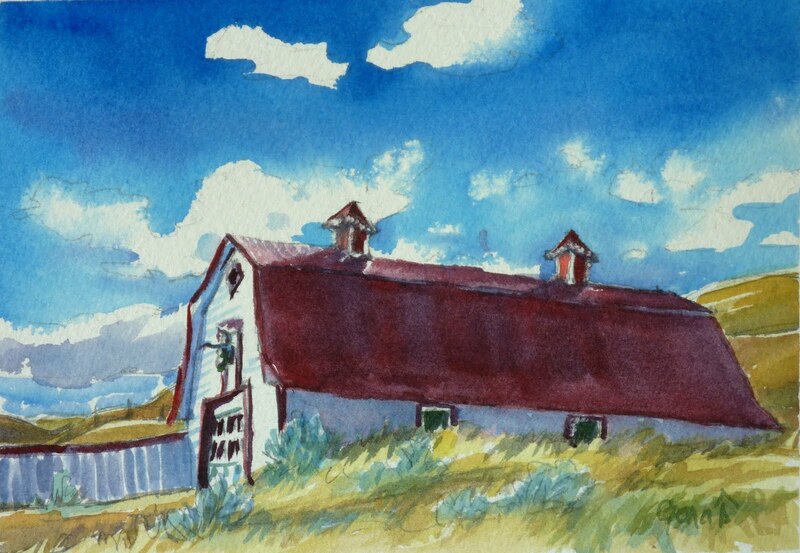 What a lovely old white barn, of the style built around here about 100 years ago. There are still quite a few of these around the countryside, but not many are as well-preserved as this one. 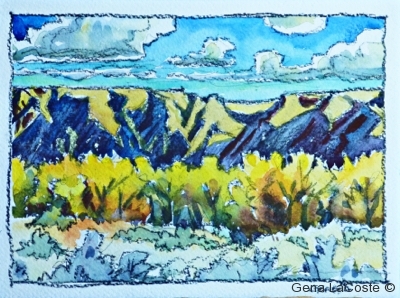 The spectacular setting of the S. Saskatchewan River valley doesn’t hurt either. 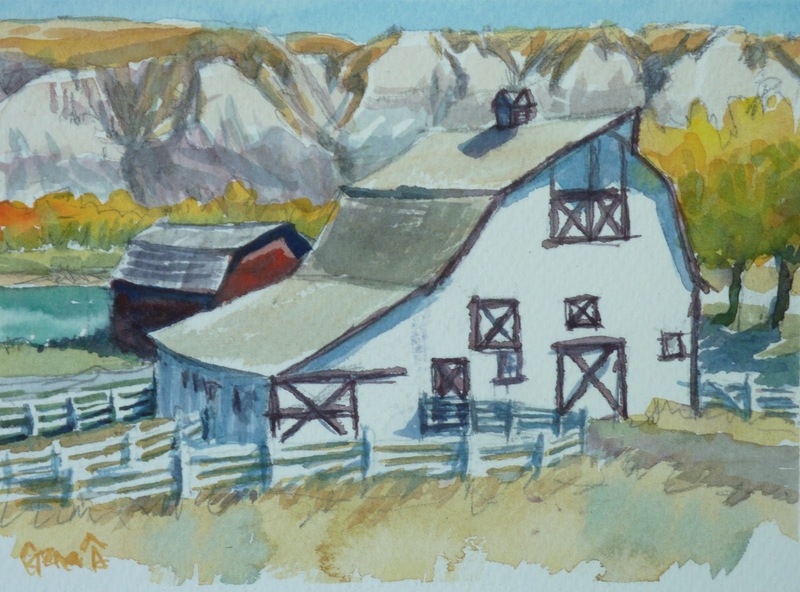 This entry was posted in (un)limited palette, Alberta, badlands, barns, barnyards, farming, historical buildings, native grass, old buildings, watercolour landscape, watercolour-a-day on October 20, 2012 by Gena. The last time I was through the little hamlet of Dorothy on the Red Deer River, I found this little clutch of red hens, free-ranging it out amongst the sagebrush. 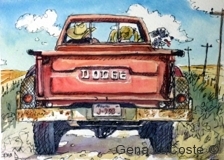 When I find scenes like this, I get that powerful nostalgic feeling that hankers for an older, simpler time. 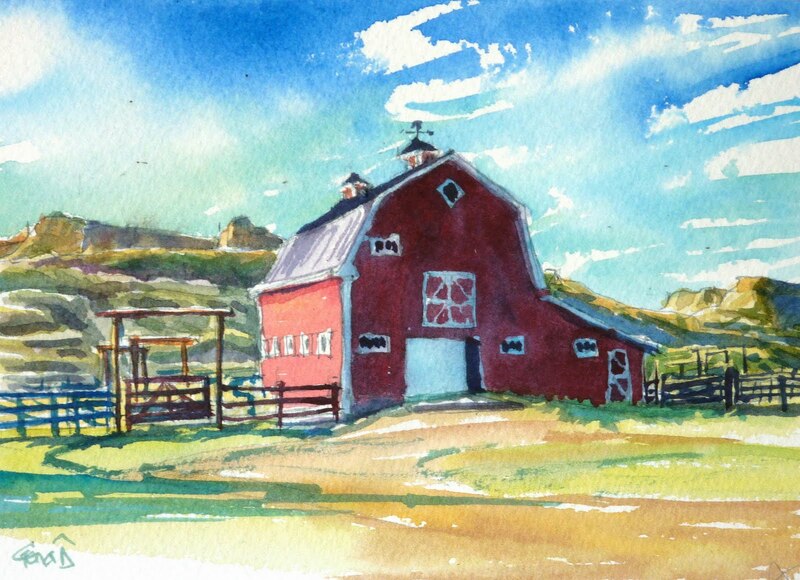 Meanwhile, I’m checking my smartphone to see if I have any emails. 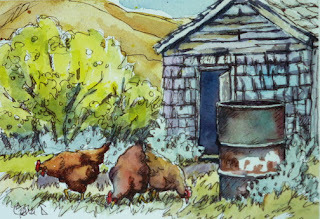 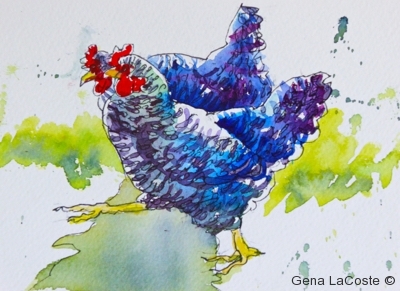 This entry was posted in (un)limited palette, barns, barnyards, birds, chickens, gravel roads, nostalgia, old buildings, pen and ink, poultry, road trips on June 13, 2012 by Gena. 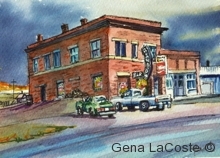 On my recent road trip to the mountains, I stopped in at Cochrane for a bit. 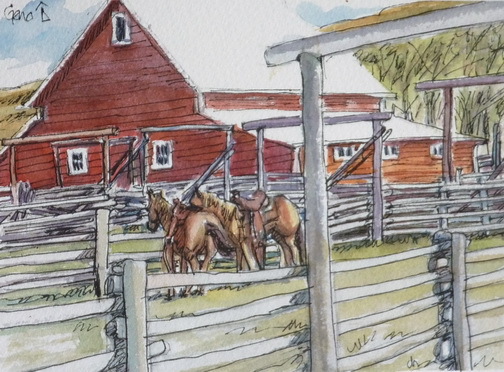 This formerly sleepy little cowtown tucked into the foothills of the Rockies, is now a happening place as Calgary creeps (and leaps!) 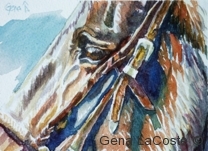 ever closer. I was glad to see that this red barn, like an old friend, is still part of the landscape. 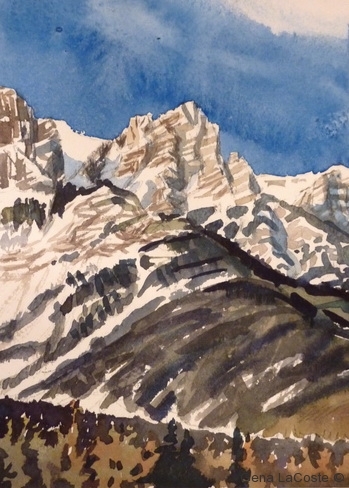 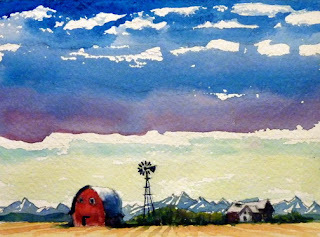 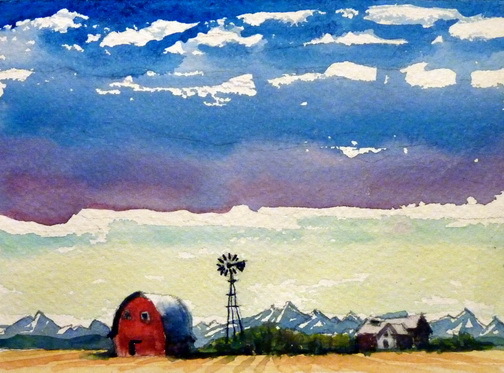 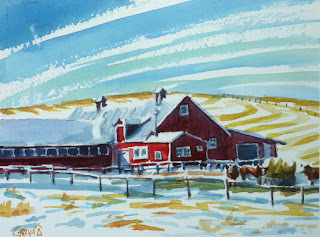 This entry was posted in (un)limited palette, Alberta, barns, barnyards, cattle, old buildings, road trips, watercolour landscape, winter on February 6, 2012 by Gena. 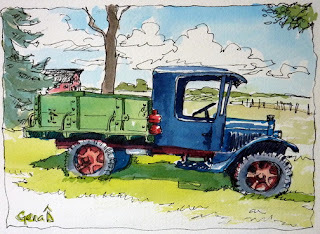 This Little Ol’ Truck showed up at the Bassano Homecoming this summer, along with a lot of other neat old jalopies, cars, tractors and such. I can’t remember what this truck was; maybe some of you know. 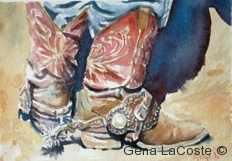 It’s nothing I’d ever heard of before, and so cute I had to paint it. 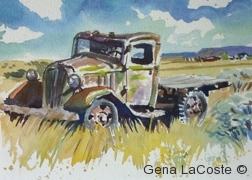 This entry was posted in (un)limited palette, Alberta, antique cars, barns, family, farming, friends, gravel roads, old trucks, pen and ink, small towns, summer on November 7, 2011 by Gena. 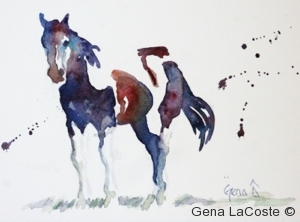 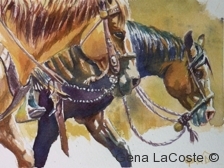 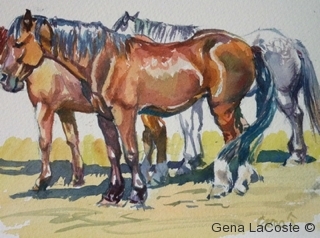 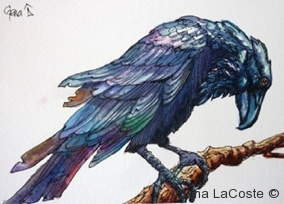 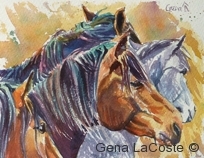 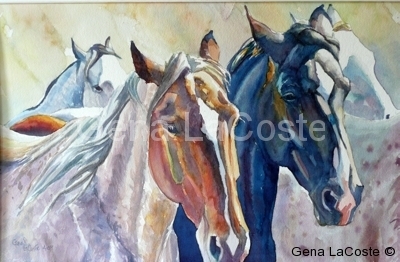 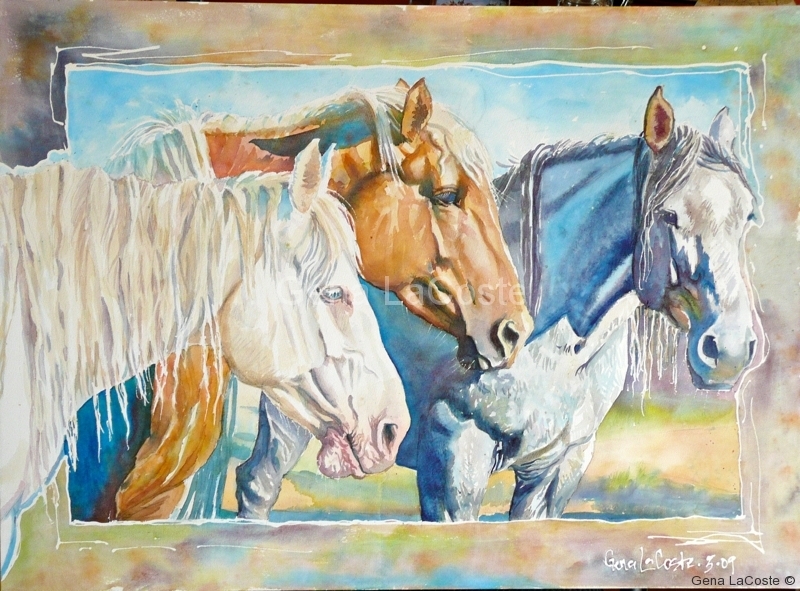 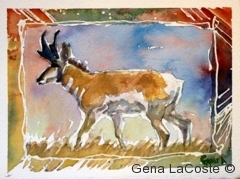 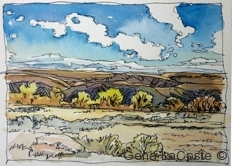 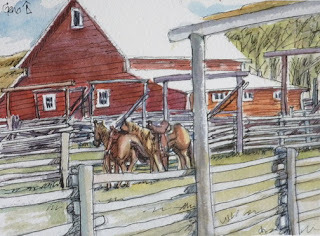 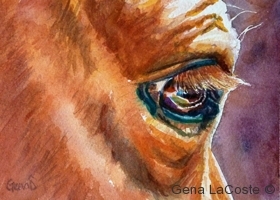 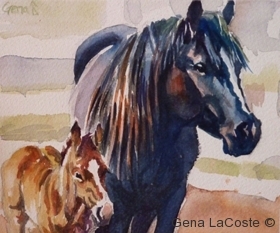 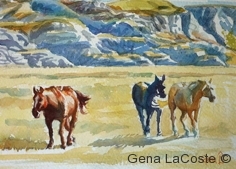 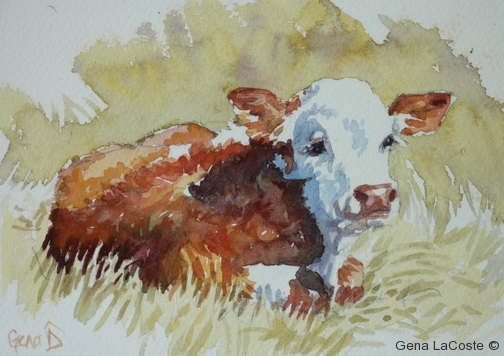 This entry was posted in (un)limited palette, barns, equine, pen and ink, ranching, watercolour landscape on August 4, 2011 by Gena. 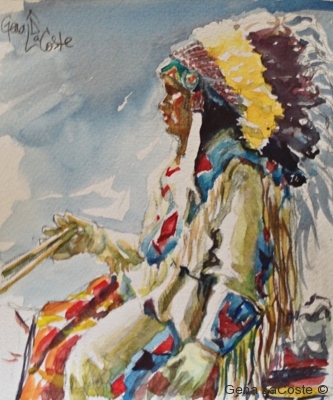 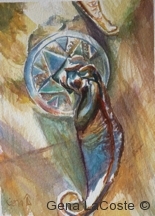 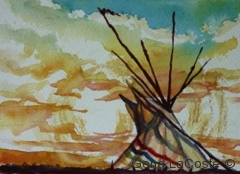 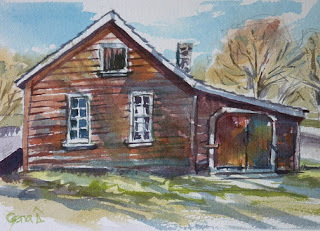 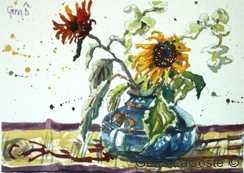 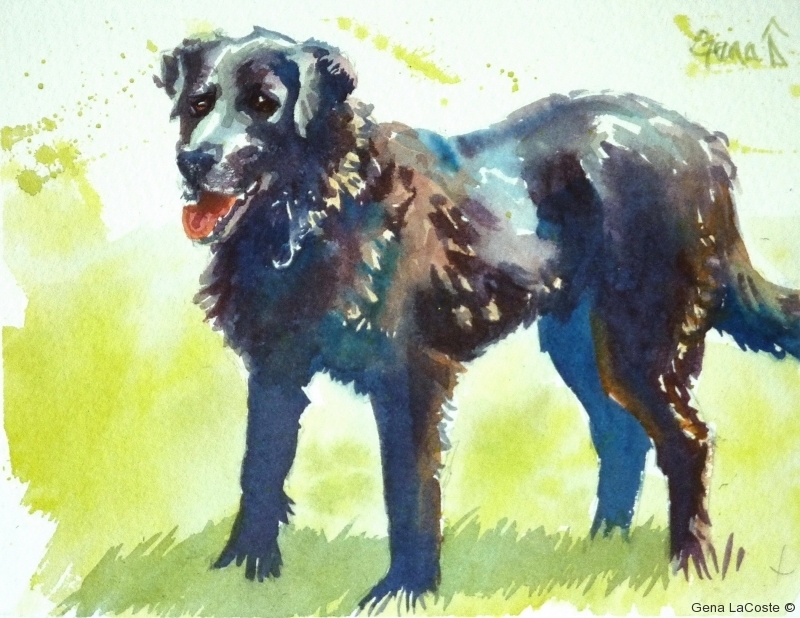 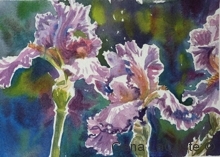 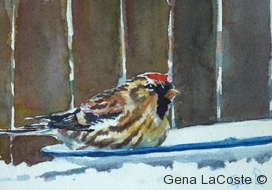 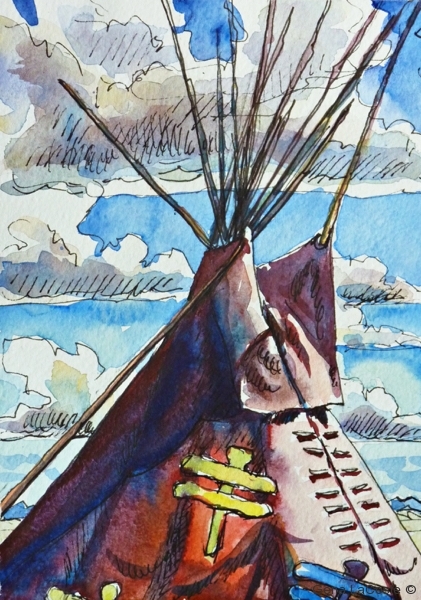 This entry was posted in barns, barnyards, Cypress Hills, historical buildings, ranching, Saskatchewan, summer, watercolour landscape on July 26, 2011 by Gena. 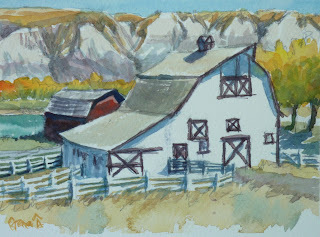 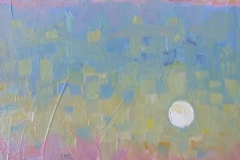 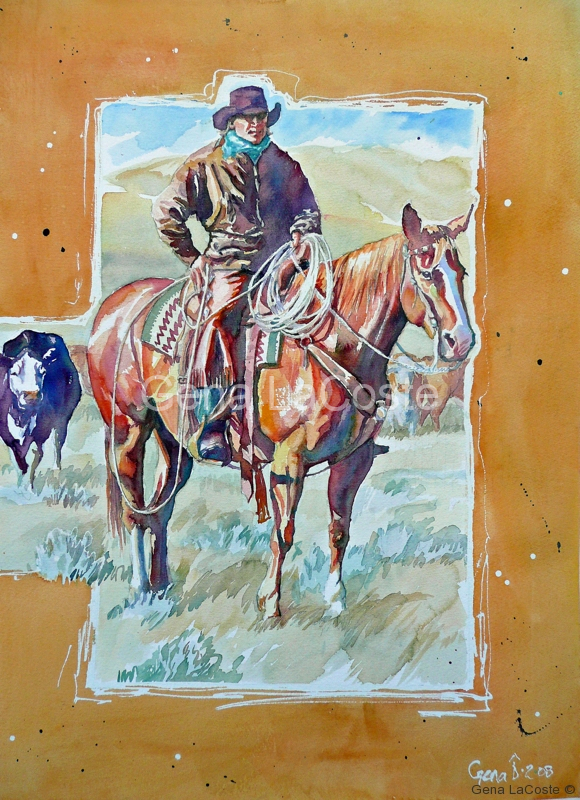 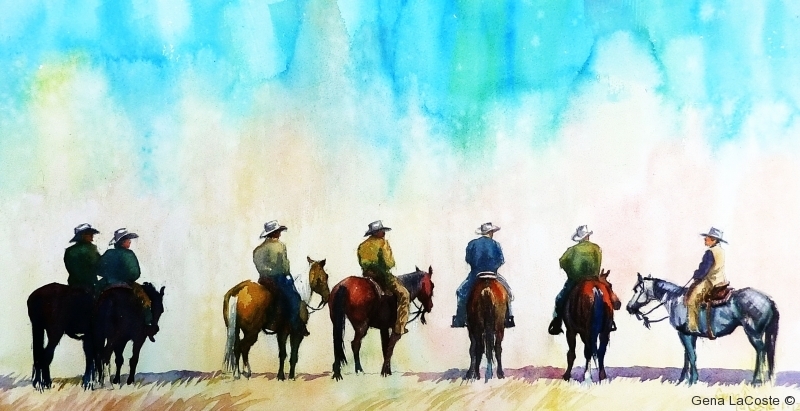 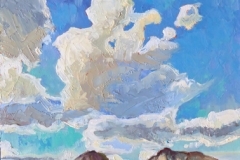 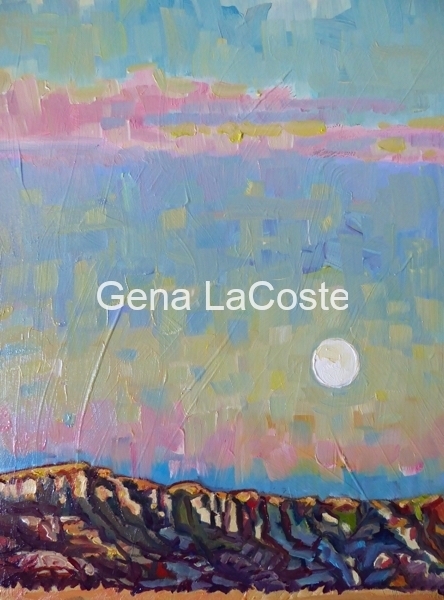 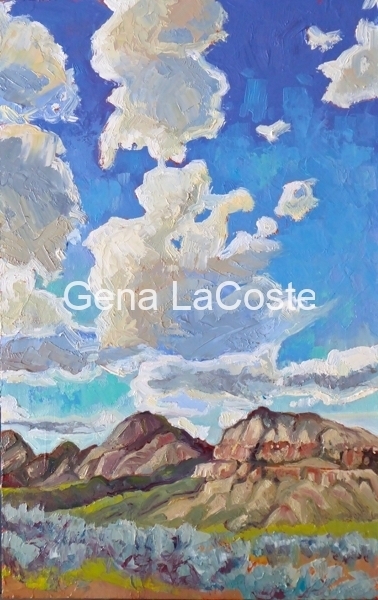 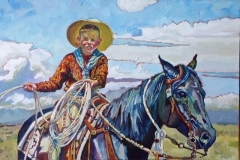 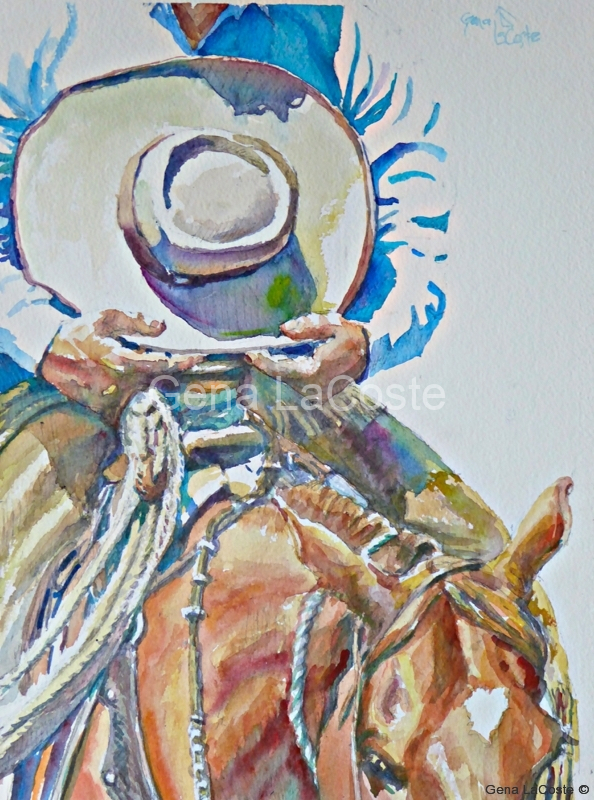 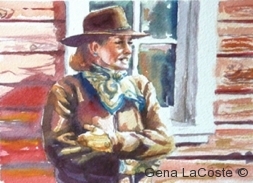 This entry was posted in (un)limited palette, Alberta, badlands, barns, barnyards, cowboy, ranching on July 6, 2011 by Gena.